Francisco Zappa is a semi-senior lawyer in the mergers and acquisitions and entertainment law departments. He joined M&M Bomchil in 2011. 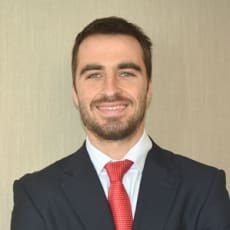 He graduated with honours from the University of Salvador, Buenos Aires and completed his masters’ degree in corporate law at the University of San Andrés, Buenos Aires. His practice focuses on diverse corporate and contractual matters. He has wide experience in fair trade and consumer protection issues and specialises in data protection law. During 2017, he was an international associate at the New York offices of Simpson Thacher & Bartlett. He is a frequent speaker at chambers of commerce on matters in his areas of expertise.